This past weekend, ISTP students Katie F., 8th, and Ian F., 3rd, two members of ISTP's Judo Team, competed at the Sacramento Open Judo Tournament. Sensei William Desmoles was there to coach them, as well as two judoka (the name for a judo player) from his other Judo Club at La Lycée San Francisco, and Sensei's son, Kevin. Some ISTP alumni were also at the competition. Katie and Ian's mom, Cee, said of the event, "it was very well-attended, with hundreds of judoka from all over Northern California. Perhaps it was inspired by judo at the Olympics this summer? 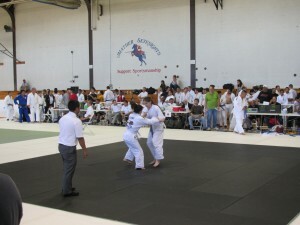 From registration at 8:00 a.m. through watching the black belts compete from about 4:00 p.m., this was an intense day!" 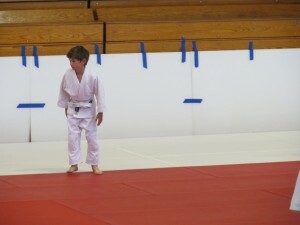 Judoka are divided into pools of about 8, sorted by skill (belt color), age and weight. Each judoka then competes about 3 times within their pool. While our team did not bring home any medals this time around, the experience was well worth it and we are excited for ISTP's judoka to continue competing this year!